The Cape Henlopen High School Viking golf team won its first match of the 2012 season March 27, with a 162-213 victory over host Woodbridge High School. Apparently, so were some of his golfers. Senior James Fenstermaker won medalist honors for the day with a fine 36, a great way to begin his final season for Cape. Fellow senior Shane Ghigliotty followed up with a not too shabby 40. The other two qualifying scores for the Vikings came from two players new to the Cape varsity squad this year. Freshman Michael DeStasio shot a 43. Sophomore Elsa Toletti matched him with a 43 of her own, in the French exchange student’s first-ever scholastic golf match. Naturally, Smarrelli expects more from his golfers as the season progresses. “There is still room for improvements. Some players are not playing up to their potential and we need to work on them to bring them up to another level,” he said. The Vikings next match was set for Kings Creek Country Club March 29, against Sussex Central High School. The team then travels to Rookery North at Shawnee April 3 for a match against Milford High. The folks who follow the business of golf recently announced that the country’s supply of golf courses continued its downward trend of the last several years during 2011. The Cape Region has lost a few executive–style courses in recent years, but so far the waves buffeting the local golf course scene haven’t been nearly as devastating as in other parts of the country, such as Florida. The National Golf Foundation reported March 22 that the equivalent of 157.5 18-hole courses closed in the United States last year, offset by a mere 19 new openings. For those old enough to remember the heyday of golf course construction twenty years ago, those closing/opening ratios are the mirror image of what took place in the 1990s. In fact, in 2000 a new golf course opened up for nearly every calendar day of that year. The rate of course closings during the current recession has yet to catch up to that amazing building spree. That makes sense. Once a piece of infrastructure is built, closing or demolishing it is not usually an equally simple choice. 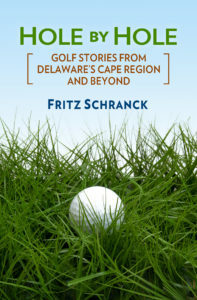 Most golf courses built in the last twenty years were connected to real estate development. Few layouts were stand-alone projects. Developers, and the folks who bought into these residential subdivisions with a golf course amenity, would be fully expected to try to keep the golf course open for as long as possible, if only to help prop up the resale values of the rest of the acreage. Based on NGF statistics, the industry still has a ways to go to meet that goal. By its reckoning, golf courses remain 17 per cent less crowded than was the case twenty years ago. That may be nice for golfers, but for golf courses with tight budgets and heavy loans to manage, that is a daunting statistic.